This commuter-friendly backpack has a sleek, compact design that still packed with plenty of features and pockets for all you needs. A clever TSA friendly computer sleeve holds a 15.4” laptop, while a piggyback sleeve keeps an iPad or tablet secure. 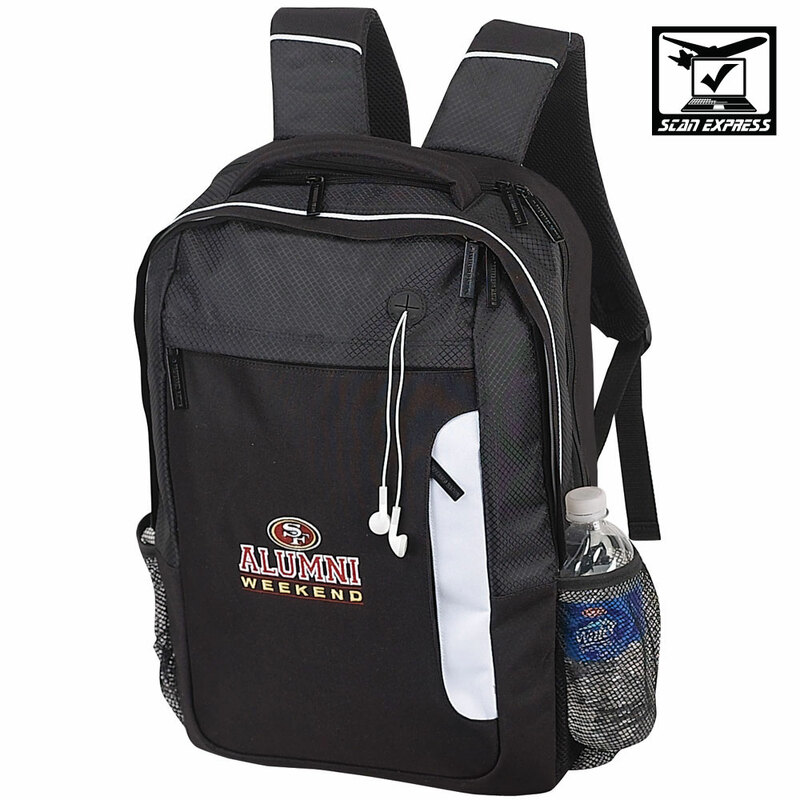 A spacious compartment in the middle holds books or files, while the front zip compartment features an organizer. 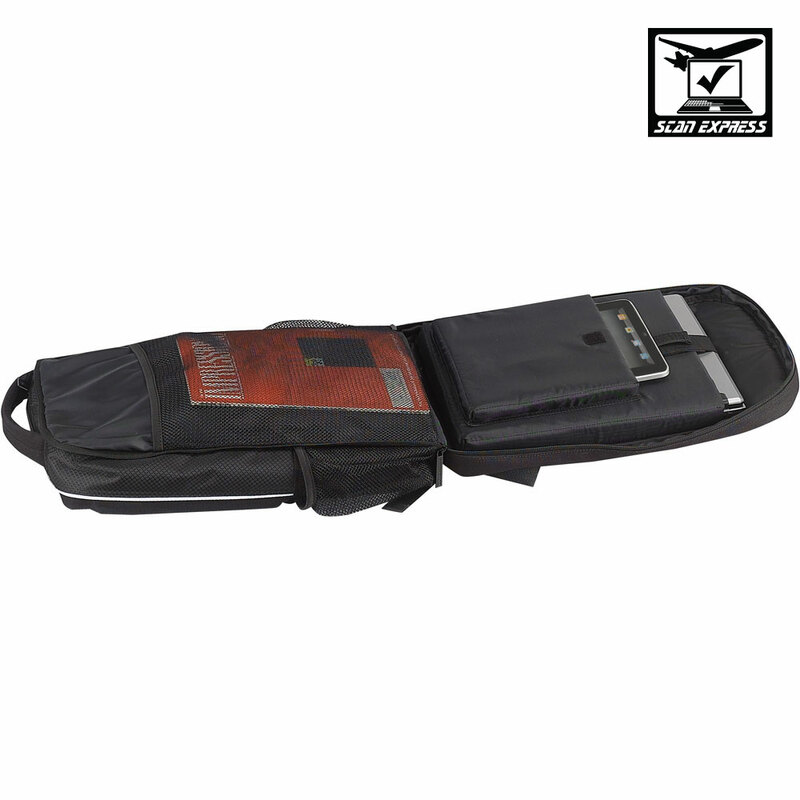 Additional features include a hidden zip pocket on the side, a zip pouch at the top for accessories and dual mesh pockets on the side and a soft-grip handle at the top. A mix of check nylon and 600D polyester. Pack Info. : 12 pcs / 40.00 lbs. Pack Note: (Dimensional Weight) / 23 lbs. (Actual Weight) / 22" x 20" x 15"